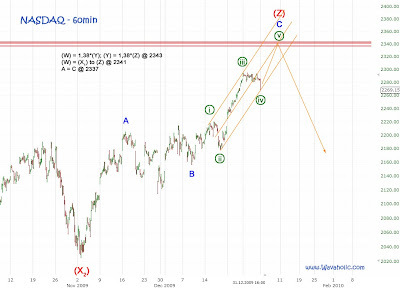 Today's huuuge gap up started wave [v] with a price target of 2340ish. Right now, the Nasdaq is trading at 2307, about 30 points or 1,5% below my target. So, the SPX might not reach my target of 1160ish; it might just get to 1145. That's about 1,5% from here and wave v would equal wave i.